SQL Server Catalog Views & Dynamic Management Views (DMVs) take an administrator to the very heart of SQL Server. DMVs expose vital diagnostic information which are not only useful to indicate the overall health of the SQL Server, but also of the databases hosted by the given SQL Server instance. 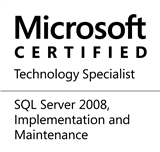 The list of DMVs that changed in SQL Server 2008 R2/2012 is available in one of my previous posts here: http://bit.ly/XobXup. Let us looking at the Catalog Views related to the new feature introduced in Microsoft SQL Server 2012 – Semantic Search. Purpose: The Semantic Language Statistics Database is a required component for the Statistical Semantic Search feature in Microsoft SQL Server 2012. This database can be downloaded and configured from http://www.microsoft.com/en-in/download/details.aspx?id=29069. The catalog view sys.fulltext_semantic_language_statistics_database returns information about the statistical semantics database installed on the particular SQL Server instance. If the database is not installed, no records are returned. The output looks similar to the screenshot shown below. Permissions: Visibility is limited to securables that the user owns or has been granted permission to. Purpose: Returns a record for each language whose statistics model is registered with the given SQL Server instance through the statistical semantics database (see above). My environment has not yet been configured to use property lists and therefore no records were returned by the catalog view. Permissions: Visibility is limited to securables that the user owns or has been granted permission to via a REFERENCE permission or otherwise. Purpose: For all tables that have an associated semantic search index, this DMV returns the status information about the population of the semantic document similarity index. As highlighted in http://msdn.microsoft.com/en-us/library/gg492085.aspx, the semantic indexing is essentially a two step process. The first step includes population of the full-text keyword index and the semantic key phrase index as well as extraction of document similarity data. The next phase uses this information to generate the semantic document similarity index. On my test server, the generation was under the “starting” phase when the query was executed and screenshot captured. Permissions: VIEW SERVER STATE permission on the server. This entry was posted in #SQLServer, Blog, Imported from BeyondRelational and tagged #SQLServer on February 21, 2013 by nakulvachhrajani.